Not all courier companies are created equally. Despite the fact that pretty much everyone looking for local delivery courier services will probably be typing into their smartphones something to the effect of “courier service near me” or “Phoenix courier company nearby”, the locality of a courier company is not the only factor worth considering when selecting your courier business of choice. Likewise, when you are selecting a parcel company, you’ll want to do a bit of research before choosing the first listing that pops up on your preferred search engine. Although we offer same day courier, express service, we understand that being swift is only one component that comprises an excellent courier company. Whether you are interested in medical courier, parcel courier, business courier, or another kind of courier service, we recommend taking the entire picture in account. We have the reputation of being both fast and secure. 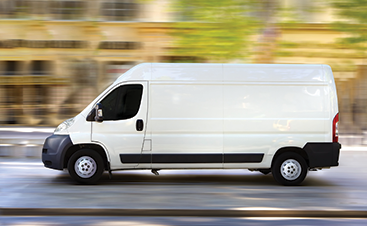 No matter if you are a law firm, an accounting firm, or are simply in need of a private courier, both those qualities are vital. But the fact is, any number of courier providers can make that exact same claim. So what do you do, as a prospective patron, in order to separate the pros from the pretenders? Online reviews are a great place to start. Irrespective of business type, consumers let the advice of other consumers guide their purchasing behavior. We at On Demand Courier of Phoenix understand this, which is why we are dedicating today’s blog to highlighting a few of our favorite customer reviews. We figure we could let our own clientele brag about us a bit – for a change of pace! But before we get ahead of ourselves, we’d like to take a brief moment to describe what receiving these positive reviews and testimonials means to us. We take our online reputation seriously, but we also understand that any business is going to receive the odd negative review. It’s just human nature that folks will go out of their way to let others know if they didn’t receive the service or product they were looking for. That’s why our star-rating north of 4 stars on Google Reviews means so much to us. It indicates that people are going out of their way to let others know about the level of quality and excellence that we hold ourselves to here at On Demand Courier. For someone to take time out of their busy day to inform others of our virtues, it makes this job just a little bit more rewarding. With that in mind, enjoy reading about our merits – straight from the customers’ mouths! Abby has been a loyal customer of ours for half a decade! We seek to be a courier company in Phoenix that is efficient and accurate. One without the other doesn’t do people any good in this line of work. Thanks again for your business, five-star rating, and taking the time to let us and others know how we are doing, Abby! Once again, our loyal customers make us smile. In this case, we are able to help Marc and his business out with prompt and accurate courier delivery services of his plans and drawings. 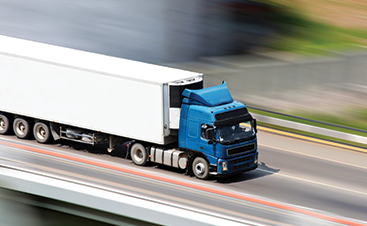 If you want an immediate quote on a delivery, reach out to us here! We offer the best rates in all of Phoenix. We frequently check our competition to make sure we still offer the most attractive rates. As Nicky says, the pricing is fair. And when you have people not only using our courier services frequently but also taking the time to let others know about our level of service, it’s a strong indicator that this is a company you’d like to do business with. Brent, we appreciate your years of service. 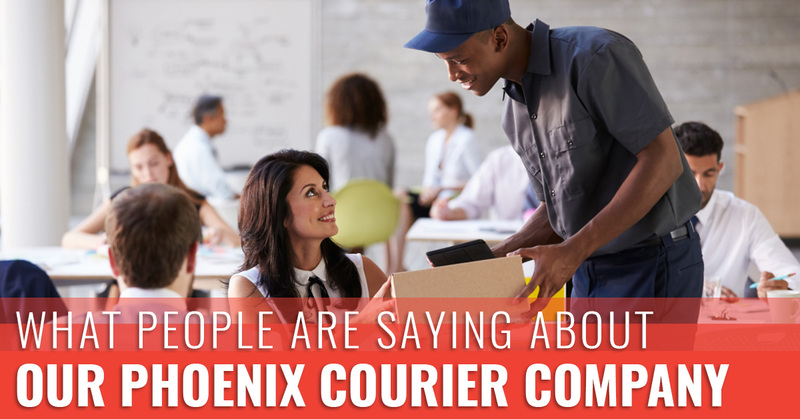 As if working at a company for over a decade wasn’t a vote of confidence enough, Brent felt compelled to tell everyone who wanted to know what kind of Phoenix courier provider we have here at On Demand Courier! When customers and employees alike are singing the praises of your organization, it’s a good sign that we are doing things the right way. From top to bottom, we’ve sought to instill a culture of excellence, accountability, and fun. So when we hear words like “caring” and “professional,” it makes us smile from ear to ear! Thanks again, Brent! We hire quality individuals here at On Demand Courier, your source for same-day courier service. We are so proud to be the long-term solution for this escrow officer, a third-party individual who oversees property transactions. Whether it’s loan documentation, earnest money, deeds of trust, or other paperwork that must be securely delivered in a timely manner, we’ve got you covered with On Demand. Fast. Professional. Secure. That’s who we are at On Demand Courier of Phoenix. We are proud of our reputation and we hope that you’ve found these glowing reviews as valuable as we do. If you are in need of details with regards to our specific courier services, or if you’d like to schedule a pickup, reach out to us today. We’d love to learn more about your needs and explain how we are qualified to earn your business.